Holly McDonald Gardner. Photo Sims Skateboard - Phil Mendoza. Skateboarding is going old school again. 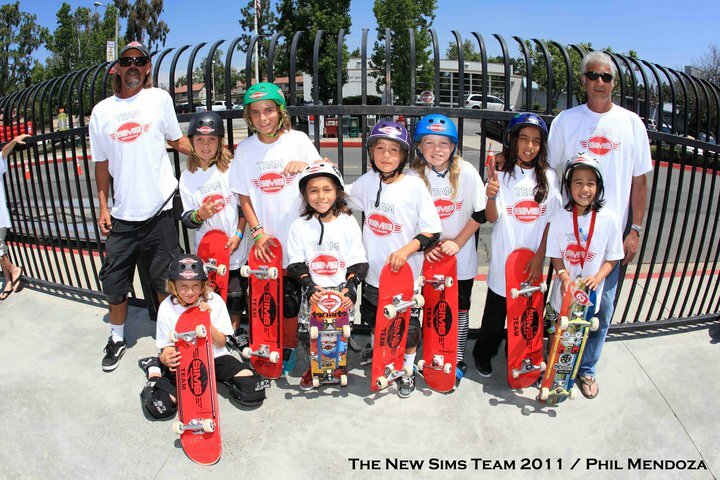 The Sims Skateboard team, a pioneer of teams from the early days of skateboard competition in the 1970s, is back in business. And one of those pioneers, former world champion Michael Hess, is behind the resurgence. Tom Sims was a pure juice skateboarder. He created the skateboard company Sims skateboards & sponsored many of the top professional skateboarders of the 1980s including Lester Kasai, Jeff Phillips (who later committed suicide) & Christian Hosoi. Tom Sims worked under his brand until the late 1970's when Sims skateboard team rider and visionary Lonnie Toft brought Bob Weber's Flying Banana to skateboarder magazine page. One of those lucky kids to get a tap on the shoulder is Asher Bradshaw, the whiz kid whose video went viral on the internet last November. Way to go Asher Bradshaw and congrats to Michael Hess and the rest of the team. Want to know more about Asher Bradshaw? read Asher Bradshaw's interview here. Want to know more about Kiko Francisco? read Kiko Fransisco's interview here.